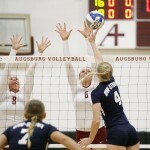 I shot the Augs­burg vs. the Uni­ver­si­ty of Wis­con­sin-Stout vol­ley­ball match at Augs­burg on Sep­tem­ber 10. 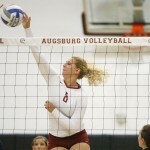 Augs­burg pulled out an ex­cit­ing win in five sets (25–12, 15–25, 25–18, 18–25, 15–9). This gallery is avail­able for sale through d3photography.com at http://d3pho.to/g/4818. Augs­burg vol­ley­ball play­ers Jes­si­ca Lil­lquist (8) and Colleen Oura­da (6) go up for a block in the first set of a match be­tween UW-Stout on Sep­tem­ber 11, 2014. 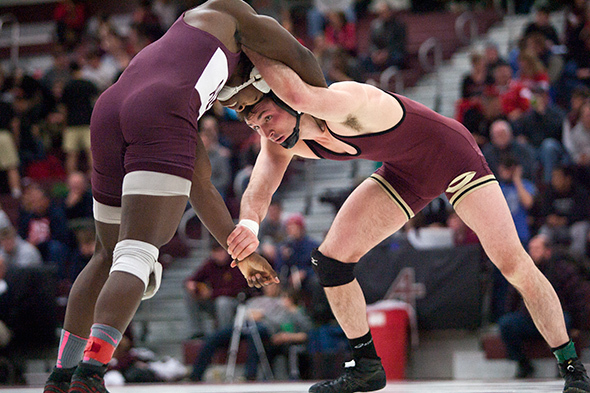 Augs­burg won 3–2 (25–12, 15–25, 25–18, 18–25, 15–9). Augs­burg vol­ley­ball play­er Jes­si­ca Lil­lquist (8) goes up for shot against UW-Stout’s Ash­ley Pratt (14) n the first set of a match be­tween UW-Stout on Sep­tem­ber 11, 2014. 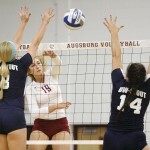 Augs­burg won 3–2 (25–12, 15–25, 25–18, 18–25, 15–9). Augs­burg vol­ley­ball play­er Ash­ley Peper (19) spikes against UW-Stout’s Becky Brad­shaw (8) and Ash­ley Pratt (14) in the first set of a match be­tween UW-Stout on Sep­tem­ber 11, 2014. 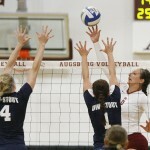 Augs­burg won 3–2 (25–12, 15–25, 25–18, 18–25, 15–9). Peper had 14 kills. Augs­burg vol­ley­ball play­er Colleen Oura­da (6) tips the ball over UW-Stout’s Mor­gan Den­ny (4) and Kar­ley Wien­sch (1) in the first set of a match be­tween UW-Stout on Sep­tem­ber 11, 2014. 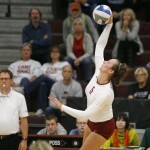 Augs­burg won 3–2 (25–12, 15–25, 25–18, 18–25, 15–9). Oura­da had 14 kills. Augs­burg vol­ley­ball play­er Colleen Oura­da (6) hits the ball in the fourth set of a match be­tween UW-Stout on Sep­tem­ber 11, 2014. 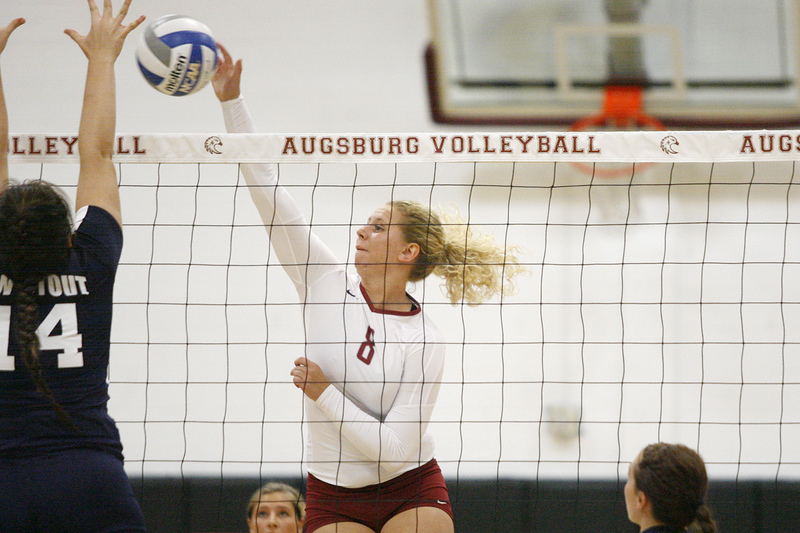 Augs­burg won 3–2 (25–12, 15–25, 25–18, 18–25, 15–9). Oura­da had 14 kills.